Yvonne was somewhat type-cast as a street pastor in this lovely Puppet Praise production called 'Shine' at Central Methodist tonight. 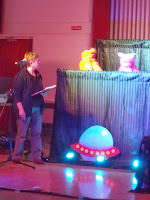 She is pictured discussing with the aliens the strange sources of light they have spotted from their space craft. She explains these are Christians shining the light of Jesus. Not too dissimilar to what she does for real on Saturday night in town! 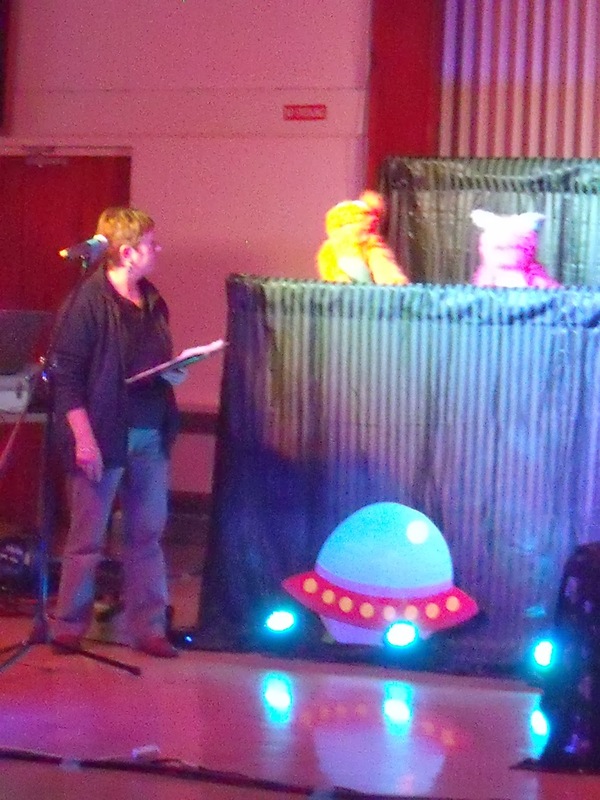 An enjoyable performance with lots of great music, dance and so many different puppets and puppeteers. Watch out for their next event and invite your friends - they really are very good.